Mene Ayenet meredo new???????????? Betam Yasazenal!!! Medehanealem Ebakehen tesfachenen Atakechecheben. Ethiopian Orthodox Church lost a young, talented and charismatic bishop that could contribute a lot for the development of the church. His Grace has shown all these on what he is doing at Mehur Monastery. Opening schools and giving local and orphan children a chance to learn and know their Orthodox faith. May God rest his soul in peace. "Lihed kekiristos gar linor enafikalehu" endalew Bitsu abatachin wode ageleglut amlak hedu! Medhanit atetitewachew metamem andejemeru besefiw yiweral. Deje selamoch eski addis abeba yeminafesewin were felfilachu asemun. Papasu tirs wusit gebitew endenebere yitawekal. Yapapasatin budin siyasadid yeneberew budin sifeligachew endenerem tenegroal. what to say, we are people who do not deserve to hear good news and hence every day we hear such heartbreaking news. we all know and believe that his illness and his early departure is for the good of our father, H.G. Abune Meleketsedeke. To those who are not doing according to their calling and according to their positions, he gives them time to repent for He is a mercyfull God and wants no one to perish. So let us take this opporutnity to see our selves and repent and cry. ejege yemiyasazen new? betam talake abat nebru zara biyarfume heyaw yemiyadergachwe sera behagere sebkeatachew sertwal lezihem meskere YMuhure Gedame enkesksa,Bgedamu ymiyadgu Hesanate ena memanu meskere nawe. lesachew refte nefsene lesnanatn lgedamu menkosat ena hesanatu emnalew. our great father.....we are feeling so lonely . you are GONE!!!!!!!!!!!!!!!!!!!!!!!!!!!! it is a shocking news for me and a great lose to the ethiopian orthodox church as well. even if his death seem as a victory for those tourchered him. Oh, God have mercy on us! "ወይርአዩ አሕዛብ በቅድመ አእይንቲነ በቀለ ደሞሙ ለአግብርቲከ..."
አምላክ ቅዱሳን ነፍሳቸውን በገነት ያኑርልን አሜን! UUUUUUUUUUUUUUUUUUUUU... woyne woyne.. yegna abat, yegna tatairi..
my God!! !i don't believe he dead because of cancer.ere ebakachihu alun yeminilachew abatoch eyaleku new.ene behiyiwotie enidezi azignie alawikim.EGIZIHABIHER HOY TEMELIKETEN. We saw from our fore real fathers, they did pass in their eariest age. We evil ones have longer age for repentance. So let's pray for ourselves and our church. Our church lost A Father. We lost a father. RIP!! !THOSE PUBLIC FIGURES WHO ARE ALIVE CARRYING JESUS NAME IN THEIR BLOOD...PLEASE FIGHT FOR THE UNITY OF OUR CHURCH BEFORE U BECOME INCAPACITATED.THIS PARTICULAR MESSAGE IS FOR "THE USA-BASED ABUNE MELKETSEDEKE AND THEIR ACCESSORIES ". በአባቶቻችን የመከረን፤የጠበቀን አምላክ አባቶቻችንን ፈጽሞ እንዳያሳጣን ፈጽመን መጸለይ ያስፈልገናል!አሁን ነው "ተጨነቁና እዘኑ አልቅሱም፤ ሳቃችሁ ወደ ኀዘን ደስታችሁም ወደ ትካዜ ይለወጥ" ያለውን ቃል ማሰብ የሚያስፈልገው. በውጭም ሆነ በሀገር ውስጥም የቀሩትን የቤተ ክርስቲያን አባቶችን አምላከ ይጠብቅልን:: የቅዱሳን አምላከ ለሁላችንም መጽናናቱም ይስጠን አሜን!!! 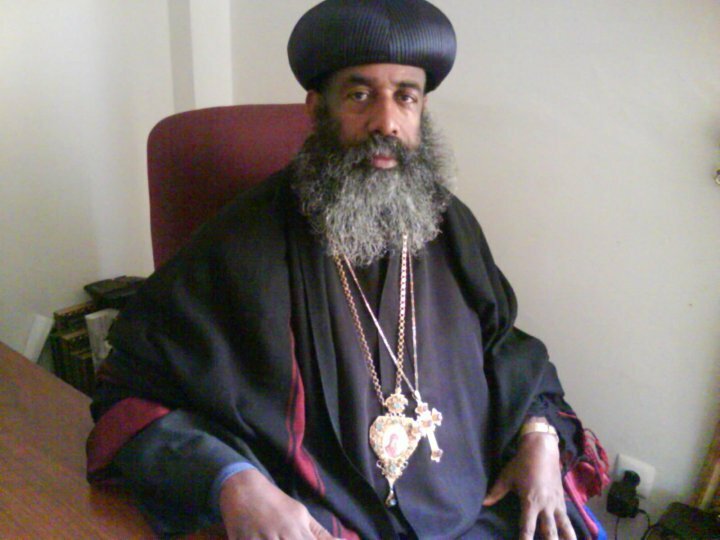 Today our church has lost a young and very talented Father, his Grace Abune Melketsedik. very sad moment for our church and all of us. Those who have been to Mehur monasety and got the blessing of his Grace, should be committed to make sure all his life time efforts running smooth. This should be the only way that reliefs the pain of our soul. በእጅጉ የሚዘገንን መርዶ ነው! ቤተ ክርስቲያናችን ያለ ጥርጥር ታላቅ የወንጌል አርበኛ አጣች ማለት ነው::በዚህ ለእውነትና ለእምነታቸው ታማኝ የሆኑ የቤተ ክርስቲያን አባቶች በጧፍ ተፈልገው በማይገኙበት ዘመን ተዋሕዶ እምነታችን እየተሸረሸረ; መናፍቃን በተለይም የደቡቡ የሀገራችን ክፍል እንደ ወረርሽኝ እየተራቡ በሌላ በኩል ካልሰለማችሁ እየተባሉ የተዋሕዶ ልጆች እየተቀሉ ባሉበት ዘመን የእዩልኝና የማስመሰል ሳይሆን ለእውነትና ለእምነታቸው የቆሙና የተጋደሉ ታላቅ አባት አጣን! እግዚአብሔር ቤተ ክርስቲያናችንና ሀገራችን ኢትዮጵያን ከክፉው ሁሉ ይጠብቅልን:: አሜን! i am so depressed to hear such a very bad news. i have known his holiness during my childhood his holiness was a one of the great fathers that we have at bisrate gebreil church. i have known his holiness almost all of my life and i can't believe the fact that we are loosing such a leader and such a father. may the almighty GOD rest his soul in peace. it is really bad news. I don't know why Very good people not stay in our generation and called by God. I'm not saying that is bad for them but it is too bad for us We need spirtual leaders and very good elders. our church needs father like Abun Melke Tsedeq. yeabatachen tselotena bereket yederben Amen. This is a very sad news. May God rest our father's soul in peace. As my brother up said lets find a way to help his monastery and the poor kids who he devoted his life for and hopefully we will get a peace of mind. We've a number of fathers(bishops) but some of them their life out of the spiritual service area deliberately to get worldly relief .So, any problem of our Church is not yet their head ache,simply they show unwanted 'loyalty ' 4 the patriarch & top government officials by accepting and implementing every decisions of them.However, Abune Melketsadik was unique in this respect,he was very concerned 4 Church matters strongly criticized what is going on like Abune Qerlos some others @ the time when the church administration spoiled like the 15th & 16th centuries of the catholic church. We (the son of TEWAHIDO)don't like to miss a father like him but not.We missed him a lot with his intact potential & great contribution for the betterment of Church service.If there is any plot behind his death the truth will be clear in the future and those who use their potential (spiritual or secular)4 this devilish purpose will be punished by strong & fair hands of GOD . The question is what will be our responsibility? EGZIABHEIR hoy yeabatachinin nefis beabriham ekif anurlin. እግዚአቢሄር ነብሳቸው በሰላም ያሳርፍ። በጣም የሚያሳዝን ዜና ነው!! በጣም ትልቅ ቤተ- -መፃሕፍት ተቃጠለ። አግዚአቢሄር ሆይ አባቶችን ጠብቅልን!!! Ersachewis kezih Alem dikamina mekera arefu egna tegodan enji! በጣም የሚያሳዝነው ነገር የብፁዕ አባታችን አስከሬን እንደ ሌሎች አባቶች በፓትርያርኩና ረዳቶቻቸው አለመሸኘቱ ነው ... ምን ማለት ይሆን ይኼ?? ?